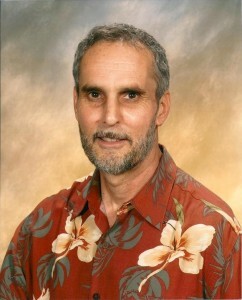 Christopher Bruce Gordon, a native of Sierra Madre, CA, went to be with his Lord and Savior Jesus Christ on Wednesday, April 13, 2011, after battling cancer. He is survived by his sisters Diana Lindsay (John) and Deborah Reinert (Denny), and his brother Jeff Gordon, as well as twelve nieces/nephews/great nieces. His parents Anneliese and Robert Gordon and brother Douglas Gordon predeceased him. Chris was born on November 20, 1947. He graduated from Pasadena High School in 1965, and attended Pasadena City College, Cal State L.A., and UCLA before graduating from U.C. Berkeley in 1971. He was subsequently awarded a master’s equivalent certificate for ministry training from Christian Associates International. He built upon his class hours of Greek with a 1,000 hour independent study to attain an intermediate proficiency level in Koine Greek linguistics. While he did not formally enter the ministry, Chris’s adulthood was defined by his Christian faith. His love for Jesus Christ inspired him to live his life as a shining example to others. He was known for his humility and caring nature, as well as his knowledge and intense interest in all facets of Christianity. He was an office manager for a property investment company, a carpenter, and a handyman, and most recently taught English as a Second Language in the Los Angeles School District. Hobbies included surfing, guitar, singing, biking, hiking, sailing, writing, photography, and drawing. He wrote and drew a cartoon strip in the Sierra Madre News in his youth, and was a published writer/artist in a Christian national magazine. As a member of Arcadia-Hoyt Curtis Club of Toastmasters’ International, he represented the club in several area speech contests. Matthew 25:21 “Well done, good and faithful servant!” sums up Chris’s life. He will be deeply missed. A long-term member of Bethany Church of Sierra Madre, Chris’s memorial service will be held there on Saturday, April 23, at 2:00pm. In lieu of flowers, the family requests donations to Wes Ringer’s ministry (#285607) at Wycliffe Bible Translators (www.Wycliffe.org/Give/WaystoGive.aspx). Online condolences may be sent to debreinert1@gmail.com.